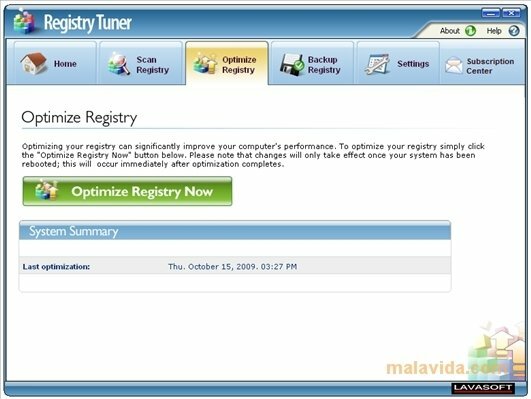 All Windows users, regardless of whether they are advanced or inexperienced, notice after a few months (even a few weeks) that the Microsoft operating system loses power as time goes by. 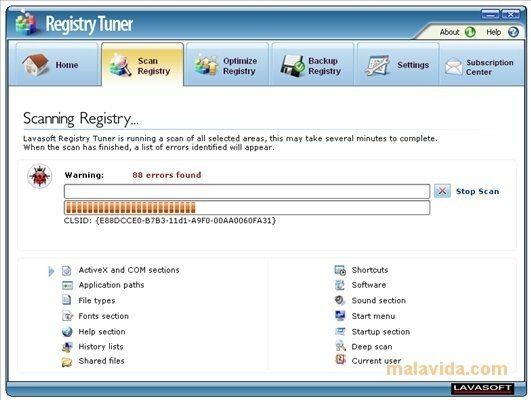 When it has just been installed, all Windows systems seem light and quick, nevertheless, after a few months they start slowing down and all actions take longer than before. 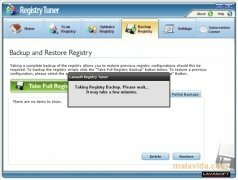 Part of the blame for this problem has to be attributed to the Windows Registry file. This element of the operating system is one of the causes for computers to work slower after some time. 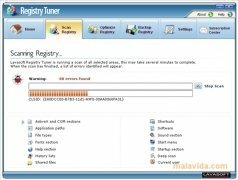 That is why applications like Lavasoft Registry Tuner have been launched, a software application that will allow us to fine-tune our Windows Registry file. 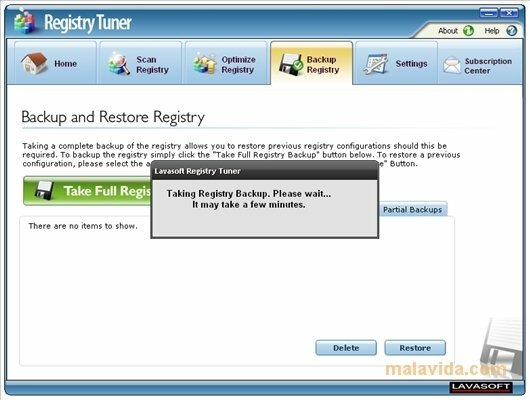 With Lavasoft Registry Tuner we will be able to optimize and search for errors in the Registry, and of course make backups, so that we can return to an earlier configuration instead of fixing everything that is erroneous. 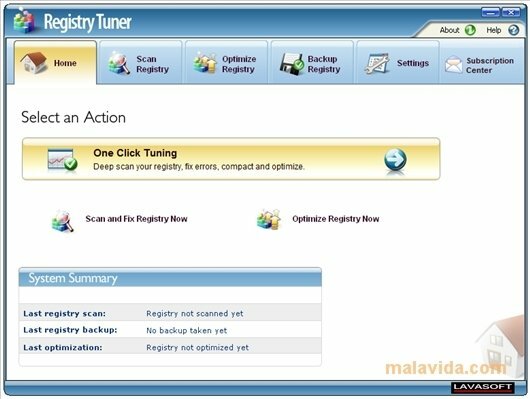 To optimize the system, Lavasoft Registry Tuner searches for unnecessary and broken entries in the registry, the ActiveX controllers, or the areas where uninstalled applications may have left traces, among others.